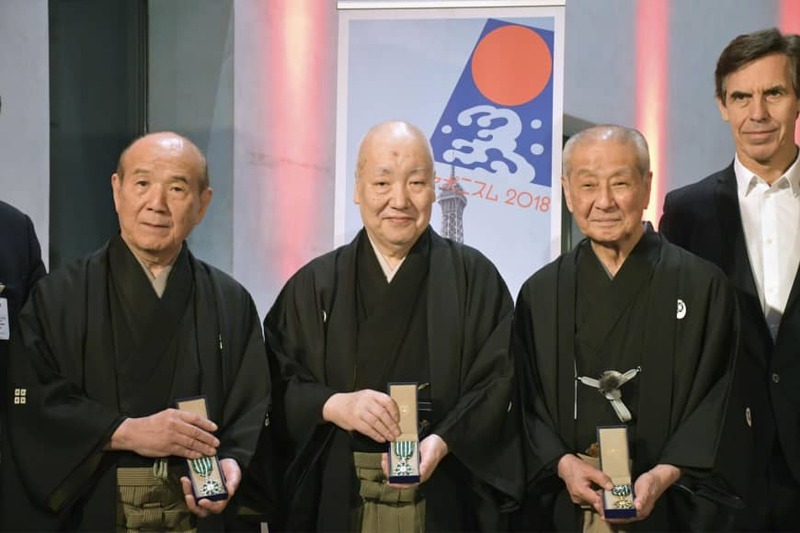 PARIS - Kyōgen actor Nomura Man and two noh actors were honored Sunday with the French Order of Arts and Letters for their contribution to promoting Japanese performing arts in France. 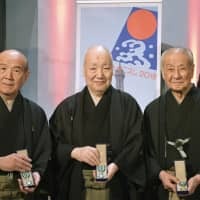 Nomura, 89, received the rank of officer, the second of the award’s three degrees, while noh actors Umewaka Minoru, 70, and Asami Masakuni, 77, were made knights, the third degree. 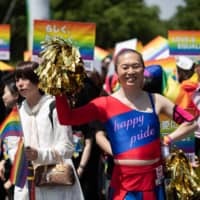 The awards were bestowed at a ceremony in Paris after they gave performances held as part of Japonismes 2018, a Japan-themed cultural event launched last summer in France to commemorate the 160th anniversary of diplomatic relations between the two countries. “Today, I was on stage with my child and grandchild. 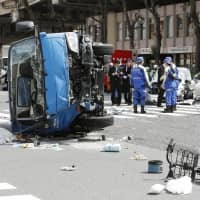 I am deeply moved to receive the order and at a loss for words,” Nomura said. Kyōgen and noh comprise nōgaku, one of the traditional styles of Japanese theater, with the former performed between noh pieces as a comic interlude.